How we&apos;d lamented when Bar 107 closed its doors last year! Gone were the $3 cans of Pabst, the sweaty makeshift dancefloor, and that giant statue of a white horse. Some said it was a true dive. Others argued that it was "hipster dive" (i.e. 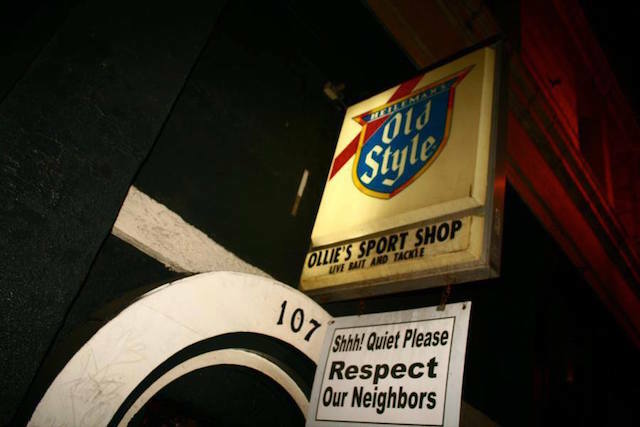 cheap cans of Colt 45 served in an atmosphere that was generally clean and innocuous). But whatever; it was easy to have a good time there, and you didn&apos;t have to plop down $15 for a high-concept mojito or whatever. Now we&apos;re hearing news that Bar 107 is making a comeback, this time in a location that&apos;s closer to the Arts District. As reported by Los Angeles Downtown News, former owner Brian Trayman has filed plans with the city to open up a 4,000-square-foot space that&apos;s right above the Escondite, which Trayman also owns. The idea is to recreate the homey charm of Bar 107 in the new space. Plans also include a tiki lounge on the roof. So, if all goes according to plan, there&apos;s going to be a triple-stack of libation-slinging bars at 410 Boyd St. So much drinking and carousing! Vee Delgadillo, who used to co-own Bar 107, is apparently not involved with this project (she currently helms Down N Out and the Little Easy).